Demonstrate: Artists Celebrate Scottsdale, A Scottsdale Gold Palette ArtWalk, October 11, 2018 | Quantum Art Inc. In celebration of the 50th anniversary of Scottsdale City Hall, the Old Town Arts District along with the City of Scottsdale and Experience Scottsdale are amping up the fun and the creativity on the streets during this Gold Palette ArtWalk on Thursday, October 11th, 2018. 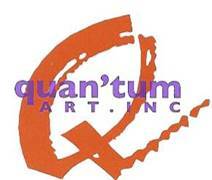 Quan’tum Art, Inc. always joins the fun. John will be demonstrating his craft and answering questions about his art and all the art at QAI. There will be many galleries with demonstrating artists participating in the evening. Join us! Oh, you know you will love this!! !